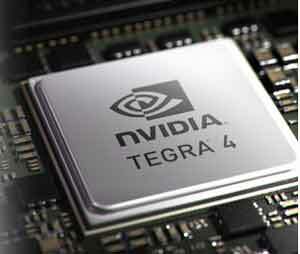 NVIDIA Tegra 4 is a powerful mobile processor, delivering record levels of performance and battery life. Looking for the ultimate entertainment tablet? 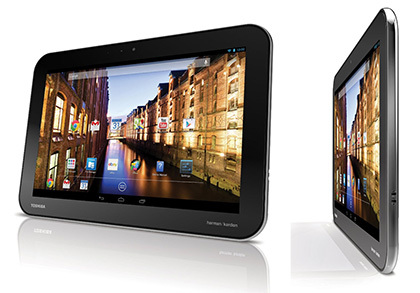 The Excite Pro brings you top entertainment features in a tablet form. Enjoy your movies in super high resolution on the 10.1-inch display that features PixelPure 2,560 x 1,600 detail. Harman Kardon speakers ensure premium quality sound and Android 4.2 Jelly Bean takes speed and simplicity to another level. The NVIDIA Tegra 4 mobile processor provides superior graphics for mobile gaming, lightning-fast web browsing, smooth video playback and advanced camera features. 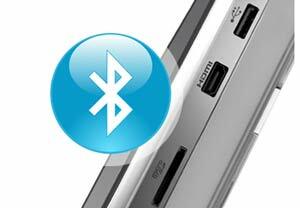 It is well connected with microSD, micro USB and micro HDMI — making transfer and viewing of content a breeze. The optional Bluetooth keyboard, which doubles as a protective case, means you have a choice of keyboard depending on your task. It is further enhanced by Google Play with more than 700,000 apps. The Toshiba Excite Pro features a PixelPure WQXGA resolution 2,560 x 1,600 screen to view movies, photos, web pages and games with vibrant definition and pinpoint clarity. The 25.7cm (10.1-inch) HD capacitive touchscreen display, with scratch resistant glass, provides wide viewing angles and precision control, while the adaptive display technology adjusts brightness and contrast to the surrounding light conditions. The Excite Pro is powered by NVIDIA Tegra 4, which harnesses 4 of ARM’s advanced CPU cores (Cortex-A15), plus an additional second-generation battery-saver core, to deliver record levels of performance and battery life. Experience superior graphics for mobile gaming, quad core multi-tasking, lightning-fast web browsing, smooth video playback up to Ultra HD resolution and advanced camera features such as always-on HDR (High Dynamic Range) image capture for photo and video. 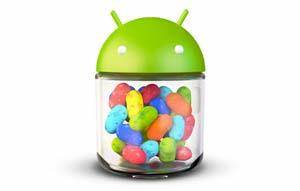 Speed and simplicity is taken to another level with Android 4.2 Jelly Bean. Never miss a beat, with integrated Harman Kardon speakers and DTS Premium Voice Pro audio enhancement. Every sound will be music to your ears with the brilliant clarity of DTS Premium Voice Pro through 2 Harman Kardon stereo speakers. 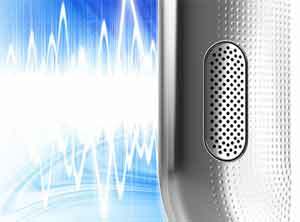 Whether you’re having a video chat or listening to tunes, you will only ever hear beautifully crisp audio. The Excite Pro includes a host of connectivity options including a MicroSD, micro HDMI, micro USB and Bluetooth 4.0. Swap pictures and files or expand your storage capabilities using the microSD card slot and plug into the micro USB port to share content with your other devices. For video messaging, the Toshiba Excite Pro includes a 1.2MP webcam and an 8MP rear camera with flash to capture images and video on the go. It also has micro HDMI to output HD video to your TV. It’s always good to know that you can comfortably use your tablet all day without the need to check your battery and that’s just what you get from the Excite Pro. With up to 9.5 hours video playback* on a fully charged battery you will want to take it everywhere. It’s a really convenient 10.1-inch size too, so will slot into your bag as easily as a book whenever you’re heading out. *Depending on configuration and level of action on the tablet. 9.5 hours battery life with video playback 100%. Android 4.2 takes the speed and simplicity of Jelly Bean to a different level. 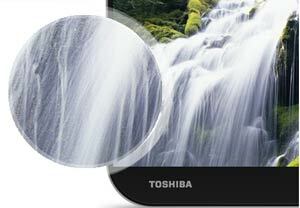 Protect your tablet anywhere using the optional Toshiba keyboard cover. With Bluetooth connectivity for anytime working, this versatile cover boosts your productivity without hindering your mobility. Simple to attach and use as a stand, the Excite Pro is easily transformed into an efficient working tool. Make the most of faster text entry, keyboard shortcuts and hot keys to quick-start your applications. Android 4.2 takes the speed and simplicity of Jelly Bean to a different level. A user-loving camera experience, typing that will only help your flow, optimised multiple user support, and much more. Everyone can have their own tailored space on the tablet, so they can express themselves while retaining the settings that suit them. And since Android is built with multi-tasking at its core, it’s a breeze to switch between users — without the need to log in and out. Excite Pro has a distinctive and high-quality design with a clean, modern appeal. This sturdy travel companion is always ready to take on your busy lifestyle. With its stylish good looks, precious silver finish and textured dot pattern, you’ll be happy to take it anywhere.